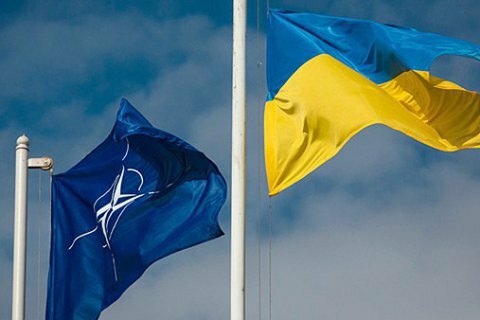 "Only systemic and solidary pressure will make Russia pay attention to international law"
Ukraine asks the North Atlantic Treaty Organization (NATO) to provide defensive lethal weapons, Deputy Prime Minister for European and Euro-Atlantic Integration Ivan Klimpush-Tsintsadze said on Monday, 3 July. "We are asking for defensive lethal weapons to protect ourselves, our land, in order to do it more effectively, so that there are fewer military losses, so that there are fewer civilian losses," Klimpush-Tsintsadze said. She stressed the need for such weapons to counter Russian aggression. The vice-premier added that only systemic and solidary pressure could draw Russia's attention to international law. Earlier, head of the Foreign Affairs Committee Hanna Hopko has said in a LB.ua interview that there is a high probability that the US will provide Ukraine with lethal weapons. She noted that the administration of President Donald Trump "wants to demonstrate that they are with us not just in words." In 2014 and 2015, the US has refrained from providing Ukraine with lethal weapons as the White House felt that this could "spur" Russia to escalating the conflict.